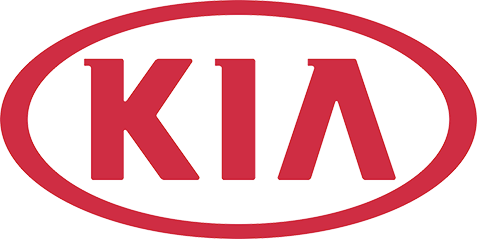 I am extremely proud to share today's announcement that Kia has earned the highest ranking among all non-premium automakers in J.D. Power's 2015 Initial Quality Study (IQS). Aside from our top standing among non-premium nameplates, we ranked second overall 33 automotive brands in the U.S., trailing only luxury maker Porsche. In addition to our best-ever brand ranking, several of our award-winning models were also recognized, including the iconic Soul and ever-popular Sorento being named segment winners in the compact multi-purpose vehicle and mid-size SUV segments. Another five models - Rio, Optima, Cadenza, Sportage and Sedona - ranked in the top three of their respective categories. This is a tremendous achivement for our young brand and validates that Kia is now a tier-one company across the industry. Perhaps even more important - and gratifying - is the fact that the IQS sturdy truly reflects the voice of our customer. The results are direct representation of how Kia owners perceive our products. There is no greater validation than that. The industry-wide study also named Kia Motors Manufacturing Georgia - where approximately 40 percent of the vehicles we've sold year-to-date are built - in the top five among all U.S. -based plants. Our KMMG colleages and team members have done an exceptional job in building the Optima and Sorento at this state-of-the-art facility. And on a global scale, Kia's Kwangju plant in Korea -- which produces the Soul -- ranked number one among manufacturing plants in the Asia Pacific Region. The results of the J.D Power IQS study reaffirm Kia's commitment to outstanding product quality and our on-going focus on elevating the ownership experience. But this level of accomplishment could not have been realized without the long-standing dedication, support and partnership of our retail network and our Product Quality team under the leadership of John Crowe. We now look to you, our retail partners, to continue championing the Kia brand and our world-class model line as you grow your business. Thank you for being a part of our success.